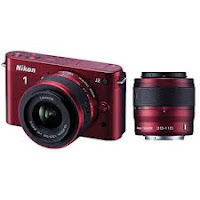 For years Nikon has been a world-renown manufacturer of photo cameras. In fact, many people around the world consider Nikon photo cameras the most convenient and sophisticated ones. 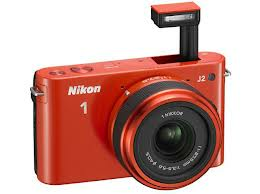 Due to this tendency and not to disappoint their fans worldwide, Nikon is now announcing the new 1 J2 photo camera. 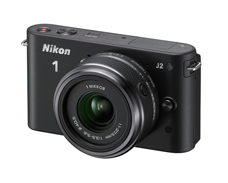 The new Nikon 1 J2 camera is an intelligent, yet compact device with an amazing set of functions. Let’s take a look at the innovations Nikon has introduced with the new 1 J2 camera. This camera has a new Creative mode. The special function button gives instant access to various scene modes, filters, and exposition parameters. The effect of such functionality can be observed in the preview already. The new camera also has the mode of instant image shooting where one can make several shots of a most short-lasting moment, and the camera will play them one by one on the preview display. Moreover, there is a mode of Intellectual Shot Selection allowing to automatically choose the best shot out of twenty, here’s how it works: you press just one button, the camera makes twenty instant high-resolution shots, and then it automatically selects five shots with the ultimate focus, facial expressions, and compositions and displays these best shots. 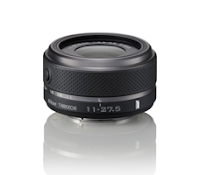 The camera comes with the ultracomact 1 NIKKOR 11-27,5mm f/3.5-5.6 lense with a 2.5 zooming capacity. It enjoys a range of available focal distances enough for everyday use, and yet it can easily be carried simply in a pocket. Unfortunately, for now Nikon reserves from publishing any information regarding the release date or the price of the new Nikon 1 J2 photo camera.